Filmmakers are a lot like ants. Story nomads by nature, they’re often asked to lift 50 times their own weight. Their workload is tireless with days off usually brought on by forces of nature, rather than scheduled, paid vacations. They spend their lives dodging the bottom of children’s sneakers, magnifying glasses, and the occasional aerosol poison. Their reward for surviving such occupational hazards is often scraps at best, all the while serving a Queen that most will go an entire lifetime without ever getting a pitch meeting with. And there’s a gazillion of them. However, two of them worth getting to know are a red hot Hollywood independent writing, directing, and producing team. Twins, Anthony & James Gaudioso. “Ghost and the Whale” is a twisted, edge of your seat, psychological thriller set in Bodega Bay, California. The local residents of the small town community fall in disarray when Joseph Hawthorne, (Maurice Benard) returns from a weekend boating trip at sea, but his wife, Anabelle Lee, (Madeleine Hamer) the matriarch of the dysfunctional and extremely dangerous Lee family, does not. A heartbroken Joseph claims an accident at sea to be the culprit for his lost Anabelle. However, a history of psychological disorders, exacerbated by the trauma of the passing of his wife and the guilt he bears inside as a result, leads many to question the truth of that fateful trip. Joseph struggles with his own truths and recollections of the incident, muddying up the water in town. 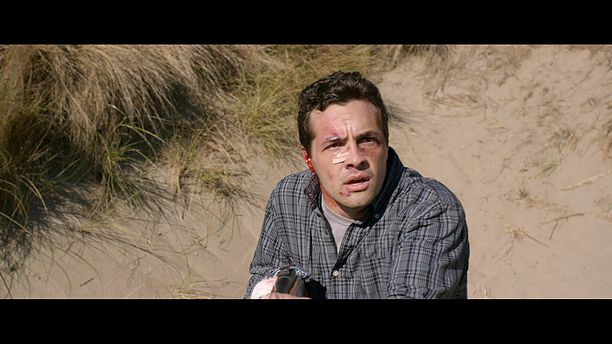 Until we meet Jack Lee, (Anthony Gaudioso) who doesn’t care much for mud in the water, as he prefers blood in it. Anchored by an extremely talented and well-rounded supporting cast, “Ghost and the Whale” pays tribute to the classic Hitchcockian style of mystery and intrigue where no one is safe, moral compasses are entirely askew, and the gas pedal of human condition refuses to let off until the credits roll. If you listen carefully throughout, your spine will chill with the tenor of Jonathan Pryce’s brittle-honeyed voice. Congratulations to the Gaudioso twins, who welcome the heat of the magnifying glass. Spotlighted for your consideration, you can catch the twins and more information about “Ghost and the Whale” this month in Variety.